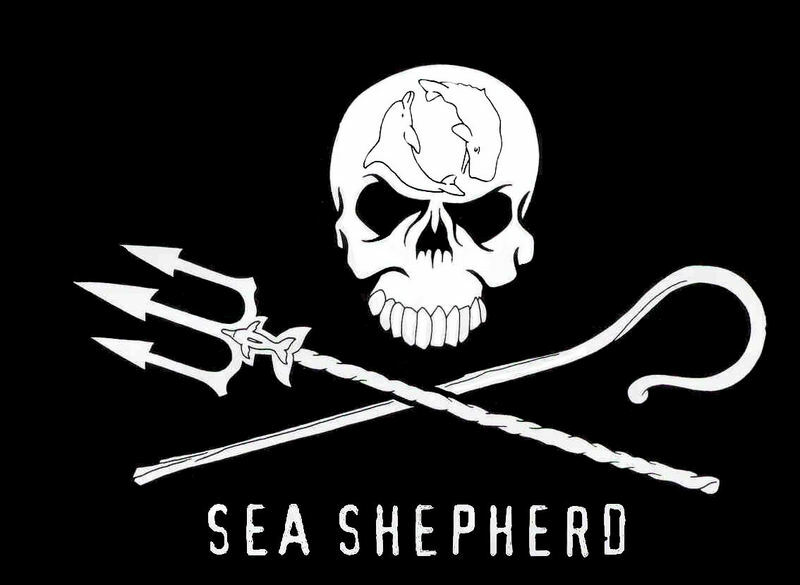 Established in 1977, Sea Shepherd Conservation Society (SSCS) is an international non-profit, marine wildlife conservation organization. Our mission is to end the destruction of habitat and slaughter of wildlife in the world's oceans in order to conserve and protect ecosystems and species. Sea Shepherd uses innovative direct-action tactics to investigate, document, and take action when necessary to expose and confront illegal activities on the high seas. By safeguarding the biodiversity of our delicately-balanced ocean ecosystems, Sea Shepherd works to ensure their survival for future generations. On January 5, 2010, another Sea Shepherd anti-whaling ship arrived in the Southern Ocean to join the 2009-2010 Antarctic Whale Defense Campaign, Operation Waltzing Matilda unexpected and right on time: the Bob Barker. Thanks to a $5,000,000 contribution from American television personality and icon Bob Barker, Sea Shepherd was able to quietly purchase and refit the former Norwegian whaler in Africa. The ice-strengthened, fast, chaser boat quietly departed from Mauritius on December 18th to join up with the Sea Shepherd ships Steve Irwin and Ady Gil in the Southern Ocean. 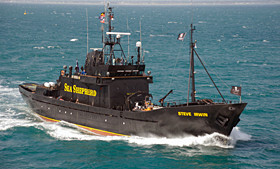 On December 5, 2007 just before the 2007-2008 Antarctic Whale Defense Campaign: Operation Migaloo began to defend the whales of the Southern Oceans, the Sea Shepherd vessel M/Y Robert Hunter was officially re-named the Steve Irwin in honor of the late Australian conservationist. The name change was announced at a press conference by Irwin's widow Terri Irwin and Captain Paul Watson at the Melbourne Docklands just prior to the ship's departure to the Antarctic Whale Sanctuary. Sea Shepherd is proud to partner with Terri Irwin for this name change as she and Steve have been world renowned for their conservation work. At the press conference, Terri stated that Steve would have been extremely honored to be acknowledged in this way as he shared Sea Shepherd's passion for saving whales. "Whales have always been in Steve's heart and in 2006 he was investigating the possibility of joining the Sea Shepherd on part of its journey to defend these beautiful animals," Terri said. The objective of Sea Shepherd's Antarctic whale campaigns is to intervene against illegal whaling actions by the Japanese whaling fleet. The 2007-2008 Operation Migaloo campaign was very successful and the whalers only got about ½ their quota, due to the Steve Irwin's intervention. The Steve Irwin is currently in Australia under going preparations for the next Antarctic Whale Defense Campaign. "Steve Irwin's life demonstrated how one person can make a significant difference in the world," said Watson. "Steve wanted to come to Antarctica with us to defend the whales and now he is able to join us in spirit with his name emblazoned on the fastest and most powerful whale protection ship in the world." The ship, formerly known as the M/Y Robert Hunter was originally named after Canadian Robert Hunter, who along with President and Founder of Sea Shepherd Captain Paul Watson was a co-founder of the Greenpeace Foundation. Bob Hunter died in May 2005, and at his funeral, Captain Watson pledged to name an ocean conversation ship in his honor. That dream came to pass with the purchase of the M/Y Robert Hunter, a 53-meter, former Scottish Fisheries Protection Service vessel. Carrying on her father's activist genes, Robert Hunter's daughter Emily Hunter joined the ship's crew for Operation Leviathan; Sea Shepherd's 2006-7 campaign to stop the Japanese whaling fleets' illegal slaughter of over a thousand whales in Antarctica. The Robert Hunter has the long-range capability and fast speed needed to locate and keep up with the whalers. The new ship joined the Society's flagship Farley Mowat in the Ross Sea of Antarctica with over 60 international volunteer crewmembers, a helicopter, and numerous smaller vessels. "Bob and I were in the very first inflatable that blocked the harpoons of the whalers in 1975," said Captain Watson. 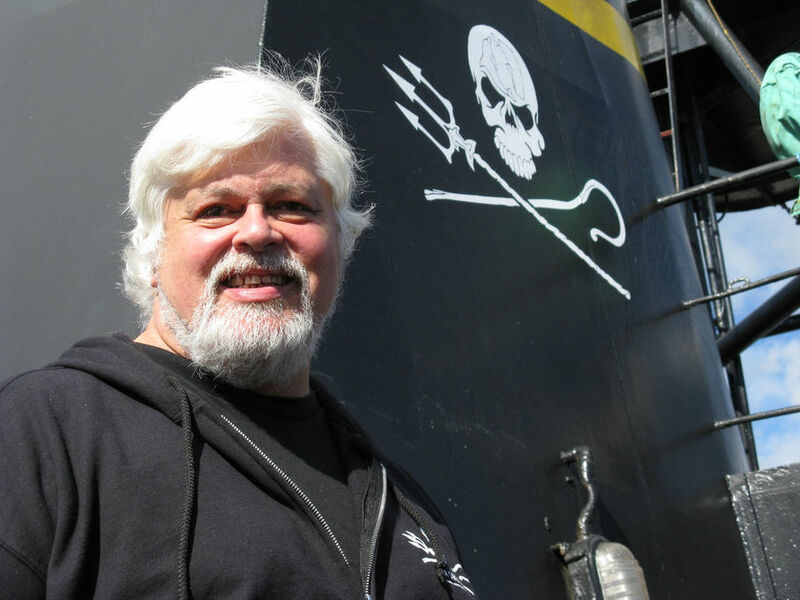 "He was my shipmate from 1971 onward with Greenpeace and later joined me on many Sea Shepherd campaigns. With this ship, he was by my side once again in spirit continuing to defend whales. "I have been honored to serve the whales, dolphins, seals - and all the other creatures on this Earth. Their beauty, intelligence, strength, and spirit have inspired me. These beings have spoken to me, touched me, and I have been rewarded by friendship with many members of different species. If the whales survive and flourish, if the seals continue to live and give birth, and if I can contribute to ensuring their future prosperity, I will be forever happy." Paul Watson was born in Toronto, Canada, on December 2, 1950. At six years old, he and his family moved to the lobster fishing town of St. Andrews-by-the-Sea in New Brunswick. The eldest of seven children, Watson lived there until January 1964 when his mother died and his father returned the family to Toronto. His father was Anthony Joseph Watson, a French-Canadian born in New Brunswick, Canada. 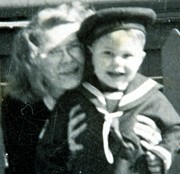 His mother was Annamarie Larsen, the daughter of a Danish artist Otto Larsen and Canadian Doris Phoebe Clark. In 1960, Watson was a member of the Kindness Club, founded by Aida Flemming in New Brunswick. After trappers killed one of his beaver friends, Watson set out, (at the age of nine), to confiscate and destroy leg-hold traps. He was also known to disrupt deer and duck hunters, and to prevent other boys from shooting birds. In 1967, Watson left home to work at Expo 67 in Montreal and then rode the rails to Vancouver where he worked on the Canadian Pacific Steamship Princess Marguerite as a fireman. 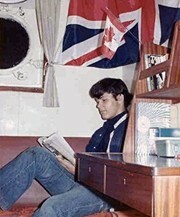 In 1968, Watson joined the Canadian Coast Guard. His first ship was the weathership C.C.G.S. Vancouver. In 1969, Watson joined the crew of the Norwegian bulk carrier Bris on a voyage to Asia and Africa. Early voyages with the Canadian, Norwegian, Swedish, and British merchant marine provided him with experience on all the world's oceans, including weathering typhoons in the South China Sea, North Atlantic storms in the iceberg-strewn northern latitudes of the Atlantic and navigating the war zones of the Persian Gulf. He served in the Canadian Coast Guard for two years in the early seventies on weatherships, buoy tenders and on a search and rescue hovercraft. Watson was one of the co-founders of the Greenpeace Foundation. In October 1969, his involvement began when he helped organize a voyage on the U.S. and Canadian border to protest against the nuclear testing at Amchitka Island by the Atomic Energy Commission. A few of the participants from the protest organized a small group to work on more ideas to oppose the testing at Amchitka. The group was called the Don't Make a Wave Committee and was composed primarily of members from the Sierra Club and the Society of Friends (Quakers). Watson, a Sierra Club member, was primarily motivated to protest the Amchitka testing because of his concern for marine wildlife at the site. In October 1971, the Don't Make a Wave Committee sponsored the voyage of the Greenpeace I. 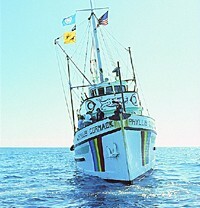 The Greenpeace I was an 85' Canadian fishing boat formerly known as the Phyllis Cormack. The ship set forth from Vancouver, British Columbia, bound for Amchitka Island, (under the command of Captain John Cormack), with the intention of sailing into the test site. There were thirteen volunteers on board including Robert Hunter, Rod Marining, and Lyle Thurston. 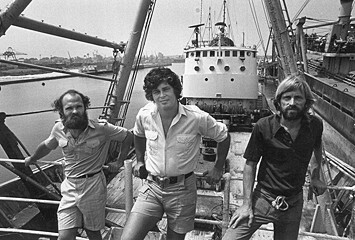 Three decades later, these three would still be sailing with Captain Watson on Sea Shepherd campaigns. The test was delayed and the Greenpeace I, after a month at sea, headed back to Vancouver. In the meantime, a second ship was organized. This was the converted Canadian minesweeper the Edgewater Fortune. She was named the Greenpeace Too. One of her crew was Watson. The Greenpeace Too passed the Greenpeace I near Campbell River and carried on north to Alaska - first to Juneau, and then outward bound across the Gulf of Alaska to the Aleutians. The nuclear test had been delayed to foil the voyage of the Greenpeace I, however, the U.S. Atomic Energy Committee advanced the next blast date to avoid the Greenpeace Too. The five-megaton explosion was detonated under Amchitka Island when the Greenpeace Too was still a few hundred miles away. The controversy the Greenpeace voyages generated led to the decision to cancel further tests, and the detonation of November 1971 was the last nuclear test to take place at Amchitka. In 1972, the Don't Make a Wave Committee took the name of the two ships from the first campaign and renamed themselves the Greenpeace Foundation. 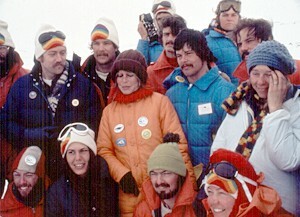 Watson was one of the founding members and directors of Greenpeace. In fact, he was officially the eighth founding member. Robert Hunter was the first and his lifetime membership number was 000. His wife Roberta Hunter was second and her membership number was 001. Watson's official membership number was and continues to be 007. In 1972, Watson skippered the tiny Greenpeace boat Astral, and placed it on a collision course with the French helicopter carrier, the Jeanne D'Arc, in Vancouver harbor. This was a protest against French nuclear testing at Mururoa Atoll in the South Pacific. The Jeanne D'Arc was forced to change course. The Astral changed course and kept on target - bow to bow with the warship, forcing the Jeanne D'Arc to stop. In 1973, Watson and David Garrick represented Greenpeace during the occupation of Wounded Knee, South Dakota by the American Indian Movement. Both men served as volunteers for AIM, with Watson working with the medics and filing stories back to Robert Hunter at the Vancouver Sun. 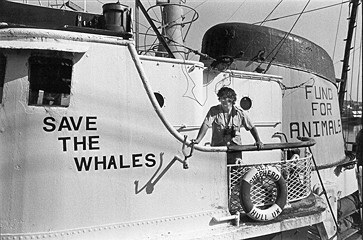 In 1974, Watson, Robert Hunter, Dr. Paul Spong,, and others organized the first campaign by Greenpeace to oppose whaling. 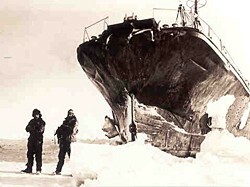 In 1975, Watson served as First officer under Captain John Cormack on the voyage to confront the Soviet Whaling fleet. In June 1975, Robert Hunter and Watson were the first people to put their lives on the line to protect whales when Watson placed his inflatable Zodiac between a Russian harpoon vessel and a pod of defenseless sperm whales. 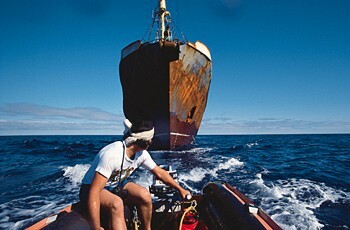 During this confrontation with the Russian whaler, a harpooned and dying sperm whale loomed over Watson's small boat. Watson recognized a flicker of understanding in the dying whale's eye. He felt that the whale knew what they were trying to do. He watched as the magnificent leviathan heaved its body away from his boat, slipped beneath the waves and died. A few seconds of looking into this dying whale's eye changed his life forever. He vowed to become a lifelong defender of the whales and all creatures of the seas. In 1976, Watson served again as First Officer on the voyage of the Greenpeace V. This was the converted Canadian minesweeper James Bay. Once again, the crew confronted the Soviet whaling fleet, this time north of Hawaii. Soon after the whaling campaign, Watson and David Garrick organized and led the first Greenpeace campaign to protect harp and hood seals on the East Coast of Canada. 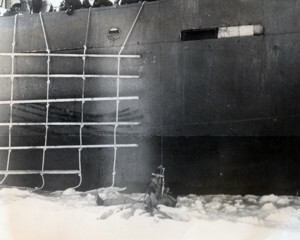 During this campaign, Robert Hunter and Watson stopped a large sealing ship, the Arctic Endeavor, in the ice by standing on the ice in its path. Watson's account of the campaign was published in the Georgia Straight newspaper and entitled Shepherds of the Labrador Front. It is this article that inspired the name Sea Shepherd a few years later. 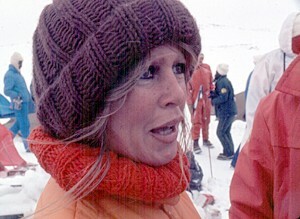 In 1977, Watson led the second Greenpeace campaign to oppose the seal hunt off the coast of Labrador, this time bringing international movie star Brigitte Bardot to the ice floes to focus international attention on the seal slaughter. Later on this campaign, in an effort to bring one of the sealing ship's operations to a halt, Watson handcuffed himself to a pile of seal pelts that were attached to the winch of a sealing vessel. When the sealers saw what he had done, they dragged him and the pile of pelts across the ice then up into the air, slamming them against the hull of the ship. Then they plunged Watson into the frigid waters several times causing him to lose feeling in his limbs and lose consciousness. Finally, when Fisheries Minister officers arrived on the scene, he was strapped to a stretcher and hoisted onboard, where the sealers almost suffocated him by pressing seal blubber over his face, then dragging him across the deck through seal fat and blood, kicking him all along the way. In June 1977, Watson left the Greenpeace Foundation because of disagreements on tactics and with the emerging bureaucratic structure of the organization. Patrick Moore had replaced Robert Hunter and was opposed to direct action campaigns. Moore had informed Watson that he would not be allowed to lead another seal campaign. Watson left Greenpeace because he felt the original goals of the organization were being compromised, and because he saw a global need to continue direct action conservation activities on the high seas by an organization that would enforce laws protecting marine wildlife. To answer that need, that same year, Watson founded Sea Shepherd Conservation Society - dedicated to research, investigation, and enforcement of laws, treaties, resolutions and regulations established to protect marine wildlife worldwide. 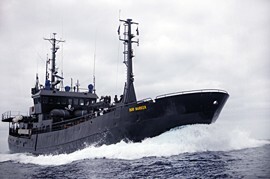 In December 1978, with the assistance of Cleveland Amory and the Fund for Animals, Watson purchased a North Atlantic trawler in Britain and converted her into the conservation enforcement vessel Sea Shepherd. 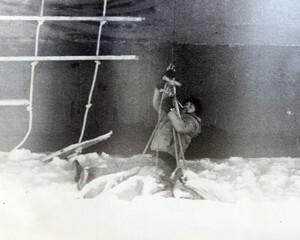 The first voyage of the Sea Shepherd was in March of 1979 - destination was the Gulf of St. Lawrence on the Eastern coast of Canada to publicize the Canadian seal hunt by utilizing direct action tactics to save seal pups. Much of the rest of that year was dedicated to the ending the career of the notorious whaling vessel Sierra. Peter Woof (left) and Jerry Doran. Over the years, Watson has exhibited a remarkable diversity in his activism. Aside from being a co-founder of Greenpeace in 1972, Greenpeace International in 1979, and founder of Sea Shepherd in 1977, Watson was a Field Correspondent for Defenders of Wildlife between 1976 and 1980. He was a field representative for the Fund for Animals between 1978 and 1981, and a representative for the Royal Society for the Protection of Animals in 1979. He co-founded Earthforce Environmental Society in 1977 and Friends of the Wolf in 1984. Watson's first affiliation with the Sierra Club was in 1968 and he has remained a Sierra Club supporter ever since. Watson was elected to the National Board of the Sierra Club USA serving as a director from 2003-2006. Watson majored in communications and linguistics at Simon Fraser University in British Columbia. He has lectured extensively at universities around the world, and was a professor of Ecology at Pasadena College of Design from 1990 through to 1994. Watson also was an instructor in UCLA's Honors Program for 1998 and 1999. Currently, Watson is a registered speaker with the Jodi Solomon Speakers Bureau of Boston, and regularly gives presentations at colleges and universities in the United States, and at special events throughout world. On the political front, Watson has run for Member of Parliament for Vancouver Centre in the Canadian Federal elections. He ran twice for the Green Party. He also ran on the Green Party ticket for Vancouver Parks Board in 1987 and for Mayor of Vancouver in 1995. Watson has received many awards and commendations over the years. In 1996, Watson was awarded an honorary citizenship to the French town of St. Jean Cap Ferrat. Previous to that he was made an honorary citizen of the Florida Keys in 1989. Other awards include Toronto City TV's Environmentalist of the Year Award for 1990, the Genesis Award in 1998, and he was enrolled in the U.S. Animal Rights Hall of Fame in 2002. He was also awarded the George H.W. Bush Daily Points of Light Award in 1999 for his volunteer efforts with conservation activism. He was chosen by Time Magazine as one of the environmental heroes of the 20th Century in the year 2000. Watson is a prolific writer and author. His published titles include: Shepherds of the Sea* (1979), Sea Shepherd: My Fight for Whales and Seals* (1982), Cry Wolf* (1985), Earthforce!, (1993), Ocean Warrior (1994), and Seal Wars (2002).